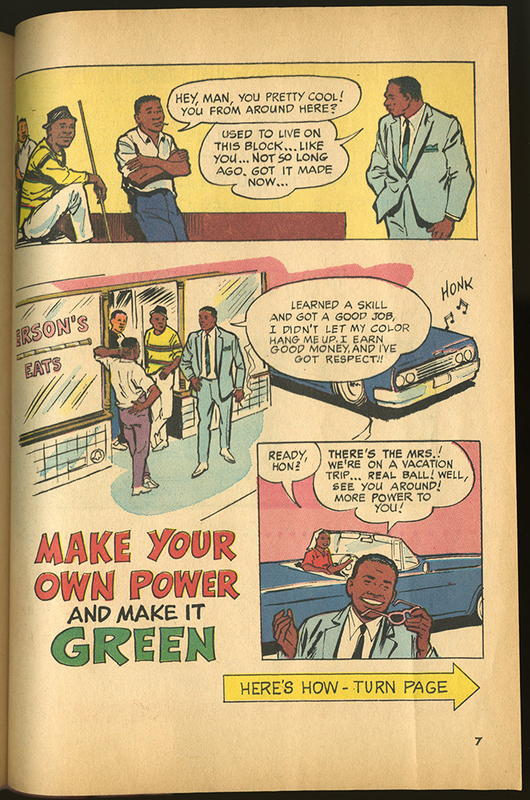 Educational comic book in the form of a dialogue between a successful black man in a suit who is taking a vacation with his wife in their convertable. 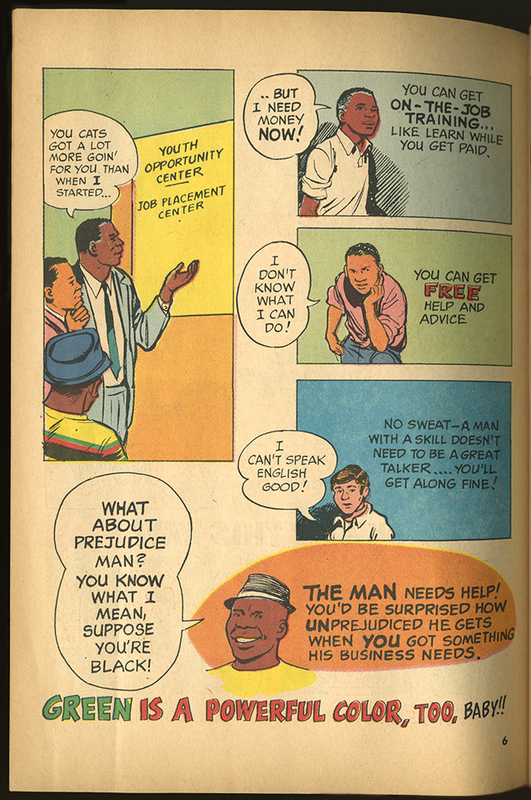 He encourages young men of color hanging around a diner to get free job training and advice so as to increase their economic power. The story suggests that prejudice is not as strong a motivation as the desire to make money. 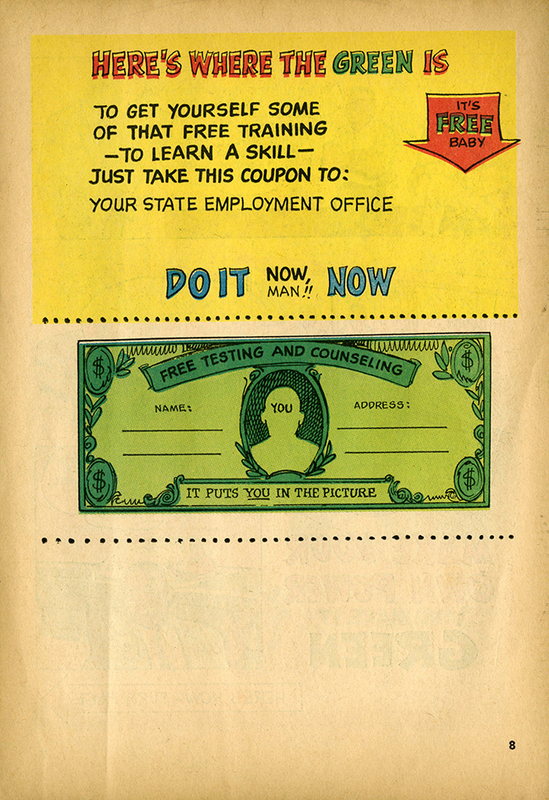 p. 6 "I can't speak English good!" "No sweat--a man with a skill doesn't need to be a great talker....You'll get along fine!" "What about prejudice man? You know what I mean, suppose you're black!" "The Man needs help! You'd be surprised how UNprejudiced he gets when YOU got something his business needs." "GREEN is a powerful color, too Baby!!" 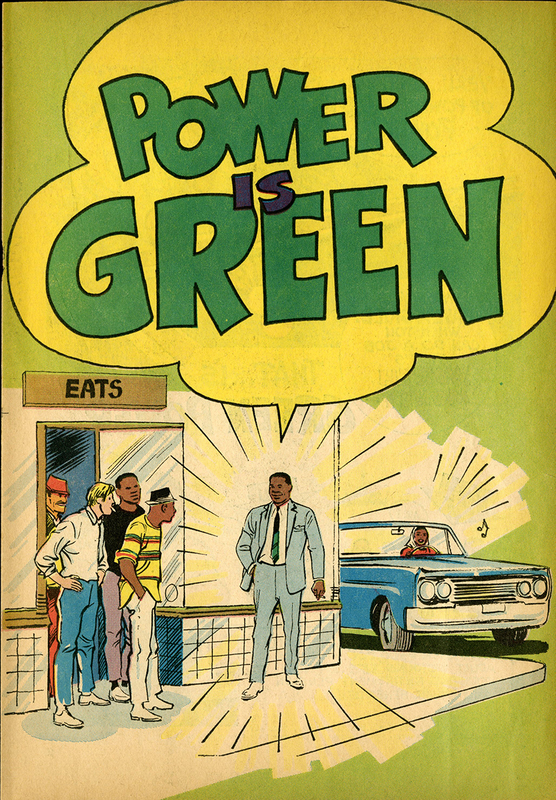 “Power is Green,” Social Welfare History Image Portal, accessed April 26, 2019, https://images.socialwelfare.library.vcu.edu/items/show/294.